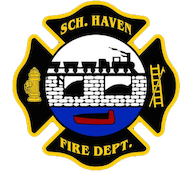 November 21, 2010 – At 02:00 the Schuylkill Haven Fire Department was dispatched to Fritz Reed Avenue (The Island) to setup a landing zone for incoming Medevac 7. Crews arrived on scene and established a secure area for the “bird” to land. However, Medevac 7 was canceled by EMS and all units were placed available. Chief 723 (Donatti) had command.